I was promised a 50.00 gift card never received but my husband did.But really didn't have a good flight with this airlines delayed for 6hrs missed a wedding rehearsal lost our luggage and this is all we get for the horrible day we had. I was supposed to land in New York at 10.30 and instead landed at 330 then go to baggage and find out it went to Carolina. Which i had no coat and no change of clothes and never arrived to our Hotel until 630 that night. Really will never fly Delta again. Our flight number was DL2464 Date was Sat Nov28 Depart Time was suppose to be 8oclcok and arrive at 10.37 Plus we were there an 1hr1/2 before time so tell me do you think fifty dollars is enough for all that aggravation. I am sure you would of been expecting a lot more please get back to me with a response from corporate. We came back from Punta Connor Dominican republic into Atlanta and from Atlanta to Bloomington Illinois. One of our check on bag got left in Atlanta due to lack of explaining from Delta Airlines in the Dominican on how to retrieve the bag and get it sent back through to Atlanta. After that the bag had to be sent from Bloomington Illinois to our house the next day which was received in a very timely manner, during the unpacking process we noticed that some of the things in the bag as my fiancé is a hairstylist were rather disheveled and destroyed as far as the make up and things like that. We also came to notice that we had a pack of cigars we had purchased in the Dominican republic which were fully legal and OK for us to bring back and when we retrieved the bag they were no longer in the bag. We had paid $40 for this pack of cigars and were excited to be able to use them when we were back. We are not very happy at all with somebody taking these out of our bag and not even offering an explanation I would like to have somebody from the Delta corporate headquarters get a hold of me so we can rectify the situation thank you. I purchased two first class tickets for Atlanta to San Diego 11-21 7:30 PM flight and return on 11-28 7:30 AM flight. The service we received going to San Diego was like flying coach. We were never asked once if we wanted a drink or wine with our meal. The service on our return flight was what you would expect in first class. We were offered drinks and or wine with our meal and during the remaining flight. We could not of asked for better service on our 11-28 flight to Atlanta would rate 5 Stars. Thanks for listening. I finally find out that, because of two lighters in my baggage, security in Shanghai can't send my bag to Los Angeles. However Hong Kong security had no problems about it. Plus Shanghai security call lighters in check in baggage... FIRE ARM... this expression totally not fit to talking about lighter & make everybody confused. I give you my promising to open my baggage, remove the lighters & send baggage ASAP to Los Angeles. I come to Los Angeles to take my exam & all study materials are in the bag, which is holding by Shanghai security without logic reason or any concern how to resolve this issue so I can get my baggage back. If you can leave one lighter (the one with picture of Frida Kahlo on it, which is collection) inside, that would be great. If not, please just remove all lighters & send my baggage to Los Angeles. Anyway since when lighter is not allow in check on baggage in China Eastern Airlines - Delta. Please help me resolve this grotesque situation as soon as possible, because my exam will happen in 2 days & very soon I have to go back to China. In July 2015 I had made reservations for myself and daughter to Saint Louis, Missouri. When I arrived at the airport on November 3, 2015, I was informed by the ticket agent that the reservations had been canceled. The ticket agent had no explanations as why the reservations were canceled. As the agent was making arrangements to book us a flight, another agent approached the ticket counter and said to the ticket agent "see if you can get it at the same price". When I returned from my trip, I checked my bank statement and noticed that I was billed $783.00 and my daughter $1115.50 for our respective tickets. At no time was I informed that the price of the tickets had gone up (original price $301.20). I should have been informed of the changes in the ticket price, therefore; I am requesting a refund to the original price of the flight ticket. I would never have purchased tickets for these prices had I been told in advance. Due to the amount of $1,968.00 taken out of my account, it has placed a financial strain on my ability to meet my obligations in the paying of bills. I am requesting a refund of $1,366.00. After four flights from Orlando (MCO) to Flint, Mich I have a series of observations. Flight DL 1469 seat #43F was badly "stuffed" I would not like to sit on it from MCO to Detroit. It needs a new surface. All the flight attends. et al were kind and attentive but the system you are using to transmit messages is defective. All the participants were reading notices and spoke too quickly to be understood. In the airports and inside the planes all of them simply read the announcement and didn't really give a damn whether we heard or not. I know that this will mean money to fix but it is really necessary. This not really a Delta Airlines complaint but more a comment about their customer service and corporate policy. As a Platinum member we receive each year a certificate to enjoy either a snack pack or an alcoholic drink the last two year it has only been for drinks. As I do not drink alcohol the gift certificates are no reward to me. Would you consider going back to the option of food or drink. Then my family could enjoy them on our trips. Thank you, Delta is still my preferred airline. My Delta Airlines complaint is that my luggage was ripped and I had to replace it in New Conway after my flight to Vermont. This happened on 10/12/2015 Flight #4895 landing in Burlington, Vermont. with Delta. I had to purchase another bag to continue my trip. There was a rip where the handle was and I could see my clothes in the bag from the hole. I use Spiriva with inhaler and another Aero Chamber with 80 mg inhalation Aerosol. I was surprised that they weren't crushed but they were shatter all over my bag. I would like to be reimbursed for paying $99.00 for my luggage which even Tape couldn't cover the hole. I also have a picture of the luggage because I had to throw it away at The Hampton Inn, North Conway, N.H. While placing my bag onto the z-ray machine in the Montreal Airport, Sat. 10 - 10 - 15, my watch band broke so I quickly put my watch into the small pocket of my bag. I picked up my cane and proceeded as directed. When arriving home in Salt Lake City, I found that my watch was nowhere to be found. It is an Amitron mens wrist watch with expandable band in great condition. It will cost me $95.00 to replace it. Other than this item, our flights and treatment were exceptional and we look forward to using Delta in years to come. In May, I purchased a ticket for $1,480 to Naples, Italy because it had one stop and a short flight. The night before departure,I was called and that my itinerary was changed and I needed to leave 7 hrs earlier.. In May, I could have bought a ticket for $900. if I wanted a long flight. I feel that I should be reimbursed for such a time difference. Thank you for listening. My friend (from Atlanta) and myself (Memphis, TN) are flying August 22, 2015 to LAX. I am on an companion ticket. We originally made reservations nonstop from MEM to LAX. My Atlanta friend was flying to Memphis to meet me so we could fly together to LAX. I understand I am on a companion ticket and must fly out of the same original city. Delta Airlines deleted the non stop out of Memphis and now have to fly MEM to ATL to LAX. My friend will have to purchase a ticket to Memphis and then fly BACK to ATL. That is putting a hardship on her. Would it be possible for me to fly alone to ATL and meet her there to continue our flight to LAX. This was Delta's change and should help my friend not to spend the extra money to fly back from where whe lives. Thank you. I boarded Delta Airlines DL1800 from Atlanta to BWI. My luggage did not arrive as scheduled. Now I am left with none of my personal belongings and other essential items. when I called customer service, I was told that my 3 luggage will probably arrive tomorrow at 3:45pm. This is absolutely unacceptable. How does an airline think this is ok. To be without my luggage for 2 days, when I have travelled from a foreign country is unbelievable. I deserve to be compensated for this. No amount of money can make up for this. I was told by the customer service representative that nothing can be done for me except to lodge a complaint online. My trip companion and I were told to we couldn't take our bags as carry on and then saw larger bags than ours being stuffed in the over heads. When I tried to change my return departure date from the 10th of June to the 8th or ninth of June, I was told it would cost $200.00 each and in addition the flight charges would add up to approximately 600.00 with the Penalty charges included. There was no mention of any refund and if a refund was not included in those figures it means we would actually have been charged about $800.00 each. I hate to tell you, but a persons trip is supposed to be about their preferences and needs and not your opportunity to gauge us. When I called in to make these changes it was on the 5th, which was easily 48 to 72 hours notice. I had the little flight insurance thing that is through an insurance company. The problem wasn't that I had surgery with complications but that I had surgery without complications and did not need to stay another 4 to 5 days. Should I apologize to Delta for that. So now I'll be paying a hotel and be away from home for those extra days I did not need. I tried to make these changes through Expedia who referred me to Delta. I tried to get a different departure date for the 7th or the 8th of June without satisfaction. I've been trying to remember is Delta has a Logo. But what is the point, it would not mean anything. I have flown with Delta airlines for over 30 years since 1983. I like using them as they always have a high standard of flying and amazing customer service. 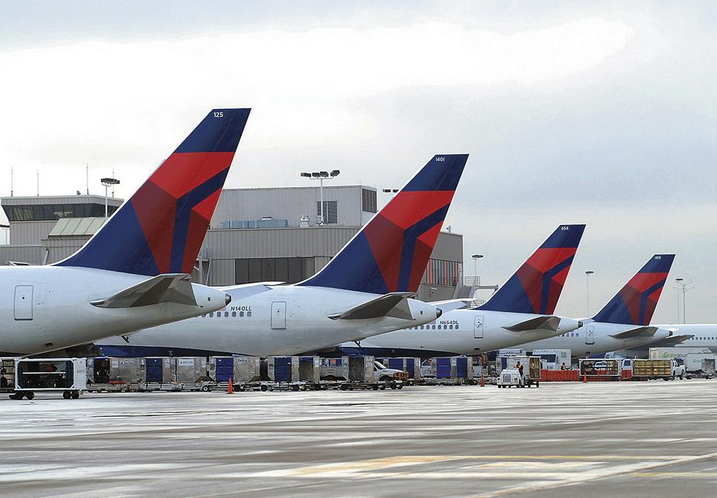 Most airlines are going down the drain these days, but Delta is not...or so I thought. They are no longer crediting mileage flown but instead, dollars spent on the tickets!! This is extremely disturbing since I have flown thousands of miles over the years and can no longer get credit for that. As soon as I cash in my miles, I will NEVER fly with Delta again!!! I have always flown with Delta and prefer to spend my money on a US airlines, but that will no longer be the case. There are too many Asian carriers out there with newer planes and competitive pricing. Delta is putting itself out of business by lowering their quality of service, customer satisfaction, and changing policies that end up screwing the customer. Terribly upset about their lack of service. They no longer have me or my good money backing them anymore!! I purchase a ticket for my daughter to come to her grandmother's 90th birthday celebration. She was to leave San Antonio and come to Cleveland. Something happen at her job that had to be taken care of on April 30th, 2015, so she was not able to take that flight. The ticket was round trip and the return was for May 3, 2015 from Cleveland to San Antonio. I understood that there was no refund. I asked if she would use the return portion of the ticket. She was making arrangements to still come to Cleveland just not by the airlines. I was told that she could not use the return portion so I just gave Delta money. I cannot afford to just give away money to a billion dollar company. That is bad business on Delta's part. It not like I am asking for a refund or even asked to reschedule the flight. I was just asking to use the return portion of the ticket. A company that has billions of dollars is so starving for a profit that it would take $369.95 from a person who in on social security because the departure was not made. God Bless Corporate America!!! My wife and I recently used your airlines to fly first class on a trip to the French West Indies for her 60th birthday and to also celebrate our anniversary. This is a list of our experiences on your airline. Our confirmation code is GKRXWX. We left on April 13th out of Seattle: SEA to SLC Flight 2150. This was our shortest leg and also happened to be our best. We were treated as valuable passengers and the crew was very attentive, and it was a great start for our vacation. SLC to ATL Fight 1881: There were many issues on this leg. First, we were reassigned seating putting us up against the bulkhead which on this plane removed the one thing I need – the extra legroom. You needed to use an older plane which happens, I understand that, but to relocate us from the third row up to a seat that has not even the leg room as some coach seats was inexcusable. At 6’3” I have long legs, bad knees and a variety of other issues that come from being “seasoned” which is the main reason we fly first class. We were not even informed at the gate of this reassignment of seating. When we discovered our new seats, at first I was more than a little surprised but assumed it was OK until I sat down. No leg room at all. When I expressed my dissatisfaction with this, I was rudely told that they could not do anything for me, and if I had an issue with this I could take my problem out to the gate. The steward then proceeded to insist my wife store her bag in the overhead compartment since there was no seat in front of her to stow it under. She understands this and had no issue with doing it before takeoff, but he got in her face and was imperative that she do it right then. I had gone out to the gate when this confrontation occurred but his rudeness was confirmed by other passengers who had witnessed this when I returned. At the gate I was told they could do nothing and that if I had an issue with the new seating arrangement that they could get us on another flight the next day. We had a connecting flight to take us to St Maartin and ferry reservations already in place so this was not an option. The gate did finally get seats in another row by moving two passengers who had upgraded at the gate to first class. I booked this trip last November to make absolute sure that we had good seats and that it would be the trip of a lifetime to commiserate my wife’s 60th. We have never been treated so poorly by an airline. We are frequent flyers and are appalled by this incident. Pretty much thought all was well but we were wrong . Flight crew came though the cabin, offered a beverage and the choice of some peanuts or pretzels, picked things up and disappeared until around 5 or 6. Do not sleep on flights. When they did appear we were offered more peanuts or pretzels but nothing more. I asked if there was anything as they had announced that food was available to coach passengers for purchase. I asked if there was anything for first class upon which the steward, begrudgingly, went and got one of the snack packages which he gave us which the other first class passengers looked at with envy. The snack packs basically contained items which you have in your board room at the airport which we had eaten before we took off. Flight 908 from ATL to SXM: This leg had no first class available so we booked coach. Very few passengers were on the flight. 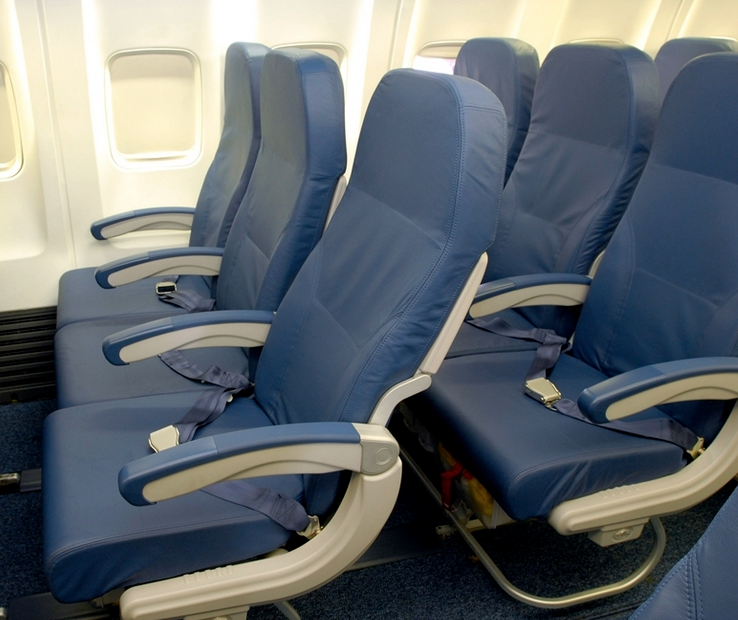 We had chosen seats that did not recline but were not too worried due to the fact that there were so many other seats available.We knew from past experience flying we could move to another seat once we were at cruising altitude. Not the case with your airline it appears as it was like pulling teeth to get to move. You also had seats right behind first class with lots of legroom which all were vacant but nobody was allowed to sit in. All in all neither my wife or I have never experienced treatment like this. What should have been a wonderful start of our dream trip was disastrous. I expressed my dissatisfaction but was told basically that this is what it is. In all my years this is the first time I have ever written a Delta Airlines complaint about treatment received. I am very easy going and do not get in peoples face as I know it is a losing battle to push someone into a corner as that is the last thing you do to get things done. It is extremely disappointing to receive such treatment, and I will more than likely tell colleagues to never fly Delta in the future due to this experience. I thought you should know of this as hopefully you had no knowledge that this was going on. On 3/21/15 I tried to buy in the internet a flying ticket to Atlanta, Georgia, using my master card expedite from Caribe Federal in Puerto Rico. When I tried make a payment and conclude the transaction, the electronic system refused the transaction. I bought the tickets using the Eduardo Aria's credit card, who authorized the transaction via phone. My actual credit card statement includes the total amount of $585.60 from Delta Airlines, for the transaction that was not concluded by me on 3/21/15. The transaction reference is: MT 150830089000010000085. I need a refund for this transaction that was not bought by me. On April 8, 2015 I traveled from Charleston, SC to Oklahoma City with a layover in Atlanta, GA. I requested wheelchair transportation due to my foot surgery and wearing a boot. The professionalism and courtesy of the staff was awesome. In my return on April 11th, it was a nightmare. I requested the same service of the airline when boarding in Oklahoma. Once I got to Atlanta, I heard the flight attendant say that the wheelchair assistance is waiting upon departure. Once I exit the plane, their was no wheelchair waiting. I proceeded to the gate and inquired of the desk attendant for the wheelchair and he told me someone else took the wheelchair. He called for another transport and it took 15 minutes with no response. I asked for a chair to sit in while waiting as he asked of another attendant did he know of anyone working the area. By this time we only had 20 minutes to get to our next destination that was on the A concourse and we were on D.
My family members asked for direction and began to push me. The flight attendant offered his apology again and recommend that I file a complaint as well. We made it in time for the boarding to board the plane to find it extremely hot. The plane cool off in the midst of the flight but the flight attendants did not move with any urgency to provide refreshments to the passengers with the flight being short. Unfortunately, a lot of passengers were not served. The pilot did offer his apology for the mishap. Why it was a mishap when there were 3 flight attendants with only 2 serving. It was amazing that it was done when we traveled from Charleston to Atlanta when all the attendants worked together. This was truly a bad experience with the plane being hot in the beginning, the beverage would have helped. Good flight attendants would have figured that out to make sure everyone was taken care of. The first bad sign happened when I recieved two different Txt messages and told me that my flight # 5764 will be delayed for two hours and my flight # 5824 was 45minutes to one hour delayed in Los Angeles to go to San Diego, here is the worst and my main complait, while we all waiting for Flight # 5824 to go to San Diego, the Delta airline employee by name Rosemary was asking over the loud speaker if some one can give up his seat and recieved $600,00 vaucher, motel for the night and fly the next day which is Saturday morning at 8:00am, I told Rosemary that i was willing to do that, she said ok and told me to go a head and seat and would call me, after every one boarded and kept calling couple of names that I beleave she could not find them, she finaly called my name and told me straight for ward <I need you to board> and I said I already cancel every thing I was supposed to do in San Diego at that night included my ride, she did not care all she was saying was < I need you to board now> eventhough I calmly tried to express my idea and feeling, Rosemary did not seem to listen any of my wards, I finaly board to the flight sadly. So this was my worst experience ever. I will eagerly wait for response. Sat. 4/4/15 flight #1775 ALT - SFO. Confirm/ # G9U987. Row 27, seat A. Malfunction…heating cooling system (only in thise area….Rows 26,27,28 (that I know of). The air condition or some source (system) had a malfunction - COLD air was constantly blowing on my row the entire flight (5 hours and 40 minutes). Of course it was not the flight crews or the pilots problem. Turning the temp. system to warmer….only overheated the passenger in the front cabin-especially first class. I was given a blanket and I and others around me wore jackets and hooded sweatshirts. I was literally shaking. The head flight attendant in the main cabin felt my hands and nose and was somewhat apologetic, but nothing could be done. I communicated this information to the pilot after landing, and he had been notified by the crew in the cabin and a work order was to be in place. Now one should have to endure this experience on any airlines. I was returning from an emergency situation where my sister had died, and yes, my anger is heighten. If this was a minor issue for me, I would not be taking the time and energy to file this complaint this morning. I am a school teacher and have to return to work tomorrow….hoping feeling better than today with a cold and sore throat. I truly feel that I should be compensated for this problem, and would appreciated your feedback/communication regarding my information given. If needed, contact the pilot and or flight crew. The next complaint is minor, but the pilot & head attend. were aware of the coffee cups left in my seat upon boarding with spilled coffee in my seat. I can overlook with those situations…the ground maintenance supervisor should be aware of it. Delta Flight 54785 arrived at Sea-Tac International from Las Vegas approx. at 6:30 ahead of schedule. I was totally excited that it was early! But there was clich in the system cause a ripple of effect. It cause me not to pick up my luggage in a timely manner. We live in Neah Bay, Washington and that is a 5hr trip. The weather was not involved for the luggage not to reach the destination on time. Nor was the plane filled, matter of fact seats were available. Down stairs at the baggage claim the people that received baggage off this flight were under a dozen. And to top it off my wife car key were in there. Last year this time in June the very same thing happen. They told us it would be on the next flight but that did not happen. So we had to spend the night in Seattle. More out of pocket that was not expected. So I am asking you to reverse payment that cost us for the flight tickets and give it back to us. This is Easter weekend. My baggage was damaged and nothing was done about it, and we have to pay for the it. I can't believe Delta Airlines would do this to us. On the above date, I emailed Delta Airlines the following note: On October 13, 2012, I made reservations online for my spouse, Cynthy Bissell, and myself to fly from Monroe, Louisiana to Lisbon, Portugal. I was able to select seating for the flights with the exception of the Air France portion of the flight between CDG and LIS and the return flight. The Delta operator advised in order to select seats for these two flights I would need to contact Air France with the following Confirmation Number 6WBJ6D. I contacted Air France and was advised I could not select the seats as they would be selected by Air France at check in. I have flown on other airlines and was provided the same explanation. However, after contacting the airlines, as I am doing now, I was given a subsequent Confirmation Number that enabled me to make the requested seat selection. The seat selection is one of the main reasons I made and paid for my reservations so far in advance. Bottom line – I would very much appreciate being able to select the seats for these two flights. On the same date, Delta emailed me the following response: My research indicates that your flights are operated by Air France. Currently, we are unable to view, assign or change seats for your flights at www.delta.com. Please contact Air France directly to request pre-reserved seats on this portion of your journey. At one time the airlines I flew with was Delta. Then I love the atttitude of Jet Blue, so I started flying with Jet Blue. This time I said let me give Delta a shot for a change. My flight was from Kennedy to Orlando on Sunday March 24. At first they asked for five volunteers to fly on a later flight instead of 11 something to go on the 3:30. 5 of us volunteered in the end they two of us were left. The agent put us in to fly at 3:30 and get a $400 voucher and upgrade to first class of which I was happy. The one agent put both of us in and everything was fine. The other agent came took it out and rushed me on the plane, I said to her so I was told to wait for the other flight and she abruptly, not in a very nice manner said, you can wait if you want but I am not going to give you a voucher. Now it was two of us left and both of us should have given the vouchers as promised. The next no one would be that anxious to volunteer. On my way back on Tuesday April 2. I was put in a window seat and the person in the middle kept jabbing me with her elbow and actually arguing with me for the hand rest. I could not even accept the drink because I did not want to open the tray. I said to the air hostess, is there another seat because this lady seem to have a problem with me, she said I don’t want to hear that. I even asked her if I can stand in the back and drink a cup of tea because I did not want to open the tray in fear of touching the woman, she never came back, she said maybe when they were finished serving, from her response, I did not want the tea anymore any way. When she was tired jabbing me she took her jacket and balled it up and put it between us to keep my arm from touching hers. What a miserable flight. When she was finished with me the child in the back of her must have hit her seat and she turned on the parent. On Sat. Mar. 23, I started my flight journey to my daughter and her family out in New Jersey. My first delay was at the Cedar Rapids airport. We boarded and then captain announced that we would have to get off, was a mechanical problem. Captain also informed us that there were no mechanics at the airport and we would have to wait for help to arrive. Was told “hopefully” be back on board in a hour or so. Which 1 hour turned into 3 1/2 hours. Missed my connecting flight in Detroit, but was scheduled for a later flight. Upon my arrival into Detroit I immediately went to my next gate for my departure to Newark, shortly after I got there the gate attendant announced there would be a delay. First told mechanical problems…then told we had to wait for a crew to arrive. Really??!! Also, told it would be a 2 hour delay which that ended up to be 3 1/2 – 4 hours by the time we boarded. This caused a huge inconvenience for myself and for my daughter and family. Her husband came down with the flu that night before and was still sick. My daughter had plans to pick me up with there baby, until it became later and later with my arrival time in Newark. So, she ended up paying for a car service to pick me up. I ended up arriving at my daughter’s house at midnight. I did contact Delta by phone which they offered me a $100.00 voucher for my next travel. Sorry, I don’t mean to sound ungrateful but, I do not feel that amount is adequate. Between my 2 flights that day I ended up waiting close to 8 hours at the airports plus, the huge inconvenience and additional money my daughter had to spend to arrange picking me up at the airport!! Tired of Complaint Departments, Online Refunds. Delta Skymiles and AMEX Skymiles. Yesterday, Feb. 1, a day after my booked trip and missed departed from HLN: I did I realize I had made two mistakes on Jan. 25, when I was attempting to use ‘your online procedures”: #1- I had booked the wrong departure date and, the purpose of this request, #2- I had agreed to pay for my trip in real dollars instead of with my hard earned AMEX/DELTA Skymiles. “your online procedures” being either Delta or AMEX ??? I will take full responsibility for setting the wrong departure date Jan. 31 vs. Feb. 28. However when opening your site, and being acknowledged by name after identifying myself with my Skymiles #, I assumed I would be booking with Skymiles. This mistake, as best I can recall from last evening’ s 3-way conversation* between Sarah at AMEX booking agency, a lady at Delta that Sarah brought in, who is the person who set my new Delta Confirmation # and dated Feb. 1, will cost me $2,512 for a trip I was expecting to cost $0. I appeal to your understanding and pay for as much of this whole experience with Skymiles. Thank you. To find enough Skymiles in my acct. for this trip please cancel with out penalty Delta Skymiles. The dollar cost for this hotel room for 2 people is $119. X 2 = $238. = taxes, but “Skymiles Marketplace” took 52,000 of my miles for this reservation! Delta Airlines is a partner with Visa for air miles. So,it is to Visa’s interest that their partners treat customers with integrity. Right? I recently booked a round-trip flight for my wife and I using air miles accumulated while flying Northwest. Because of scheduling changes, we had to change the flight to an earlier date. Easy task? Probably just a computer keystroke and a mouse click. But wow! The charge from Delta was $300. Does that seem fair? Maybe you should find another partner. We’ll never ever fly Delta again and we going to switch to MasterCard. And we’ll tell two people and then they’ll two people, etc. Facebook seems like a good place to start. I issued a complaint to Delta regarding my skymiles account. After their response was not to my satisfaction they wrote back, “While we understand your disappointment with this decision, please respect this note as our final correspondence on the matter.” It was only the second correspondence and there was little effort to resolve my issue. It would have cost them nothing to appease me. I travel every week on Delta and this is how they treat their frequent fliers? What a disappointment. Since when is it respectful to tell a customer we don’t want to hear from you anymore (and only after 2 e-mails)? There was 4 hours left in the flight the flight attendants announce that there is a ringing alarm from a bad call light button in their area. Then they choose to turn off basically all electronics in the main cabin (movies, audio, overhead light, call buttons) so they wouldn’t have to listen to the call button noise. Wow ok delta thanks! This was for their good not the passengers. The main cabin had no lights, movies or call buttons working for the remainder of the flight. We were told to open the shade on the windows so we could have light in the main cabin. Good thing this was a daylight flight. Was anyone at risk? Yes, we all were because in case of an emergency for any reason, there were no call lights. Have feedback for Delta Airlines?